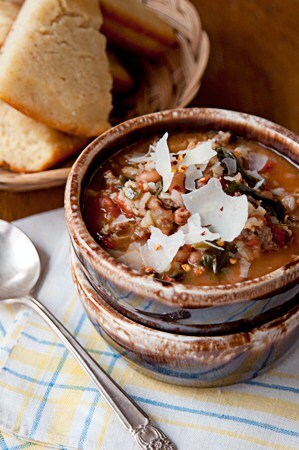 Welcome in the new year with a traditional Southern New Year’s Day meal. We always have blackeyed peas for luck and greens for wealth. During this last week of 2017, as we prepare to welcome a new year and all the prospects it promises it holds, I can’t help but look back a little bit. I suppose that’s the southerner in me. The looking backward and keeping old traditions alive. We do tend to hold our traditions very near and dear. Southern families may celebrate Christmas in lots of different ways, but a traditional southern New Year’s dinner…well, that’s a tradition that is firmly rooted. No matter what the rest of your menu may include, there is always…always…blackeyed peas and greens. And they’ll be on our table January 1. Just like they have been for every single New Year’s Day of my entire life. Blackeyed peas for luck and greens for wealth. 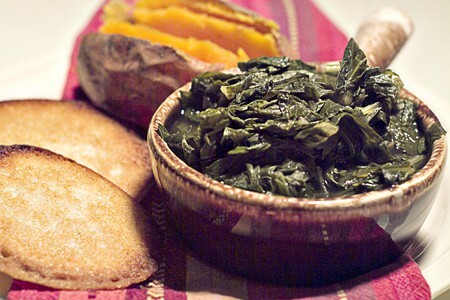 Won’t you join us in this old Southern tradition with a peas and greens dinner for your family? Here are some recipes to help you with planning your own New Year’s Day menu. 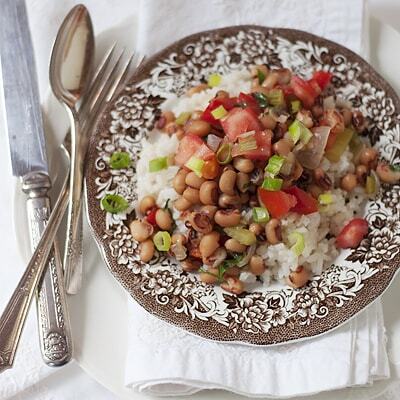 Hoppin’ John is a very old traditional Southern recipe that combines rice and blackeyed peas in one delicious bowl. And, of course, you must have greens of some type. 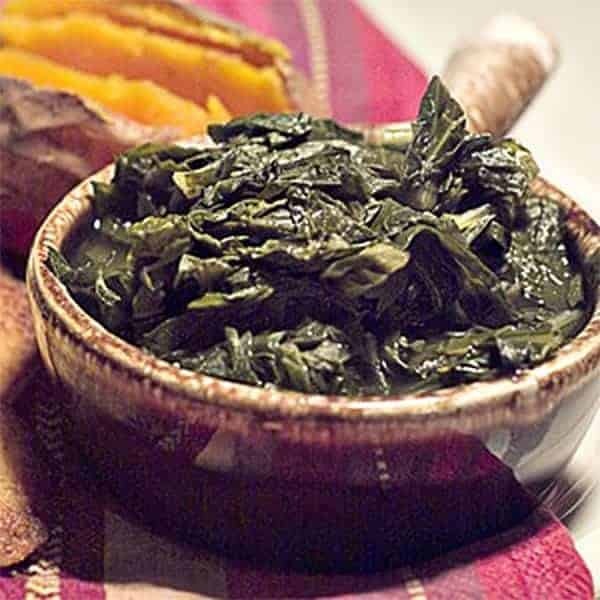 Whether you choose turnips, mustard, or collards, is up to you, but here’s how I prepare them. There’s also a bonus recipe for corn pone bread at that same link. Perfect with your New Year’s meal. If you’d prefer something a little less traditional, yet still in the spirit of the New Year, here’s a fantastic Peas and Greens Soup for you to consider. I got this recipe several years ago from an old high school friend and we now enjoyed it often. It’s easy to make, inexpensive, and oh so good! No matter which you choose to try, these recipes will give you a real taste of a traditional Southern New Year’s meal. Here’s wishing every one of you a New Year filled with peace and prosperity! Enjoy! Happy New Year Lana, Yes, gonna have my hoppin’ john, b-e’ed peas and rice(luck) for sure along with our usual ham. will not let that tradition go away. Like your McCoy bowls …. at least, that’s what they look like… have a great one..
Good to hear from you, Drick. We saw video of some of that Christmas weather you all had around Mobile! Hope you were safe and dry. You have a great eye. Those are definitely McCoy’s brown drip pattern. Love that stuff. A very peaceful and prosperous New Year to you and yours! Don’t forget the hog jowl! I’ve got it ready to go, Carla! This looks so good… I’ll be giving it a go:) thanks for sharing.